I'M BACK! It was so hard to leave the beach, but it is good to be back home, too. The new catalog started while I was gone, and I'm going to try to get everything updated here on my blog today. I'm also getting myself organized in my office, too. A new month of projects at Craft Project Central started while I was gone, too. 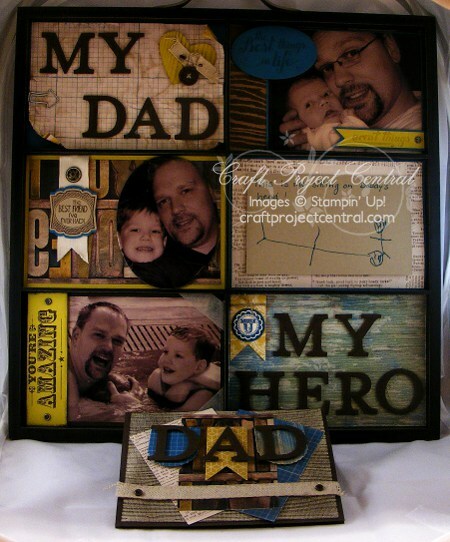 The first project of the month would make such a great Father's Day present! The designer of this great project is Leena Girsa. You can see more of her great creations on her blog, A La Cards. If you would like to learn how to make this project, you'll want to subscribe for the month of June. With your subscription, you'll get illustrated, step-by-step instructions for 10 wonderful projects for only $10! You can find out how to gain access to a bonus eleventh project over at Craft Project Central. Please leave a comment for Leena to let her know how great her project is, too!